We design and build new custom plumbing and heating systems for that dream house you are building. Our kitchen and bath remodeling specialists can assist you with your remodeling project from the idea stage to the finished installation.Plymouth Plumbing & Heating has been helping happy customers with all of their plumbing needs for over 77 years. Below are some of the ways we can help. Remember, if water runs through it, we can do it! We will be there to help from the beginning. When something goes wrong or you need a new product, you can count on us. Quality will stand the test of time and we provide great quality with great service. We love to turn the old into the new. Not working properly? Need a new one? We can help. We can help choose the right fit for you. Backed up? Stopped working? Need a new disposal that will last? We can help. We provide comfort everywhere you want, just how you want it. We have the experience to meet your schedule on your budget. See what happy customers are saying about their experiences. They did a wonderful job with our bathroom and laundry remodel! So patient with us during the process. They were clean with all projects they did and were so helpful! Price was great! My husband and I are selling our house and it needed some plumbing repairs. We had a huge cast iron galvanized sewer pipe that needed to be replaced in the basement. Jack came out in the cold fresh snow, to give me an estimate. He was the most friendly guy, and so knowledgeable! He explained all the terms so i would understand them. Within a week i had two guys out here. They did an amazing job, and even cleaned up after themselves. So impressed!!! I WILL hire them again!!! so pleased with the service i received and would recommend to anyone! Our heat went out Sunday night before the big snowstorm. We called ASAP in the morning and he was here not long after fixing the problem as always!!! We now have a warm toasty home again. Very polite, professional, informational on what was needed to be done, as well as answer our questions very quickly! Highly recommend their business. Thank you so much! Came out today and replaced our sewer main. They were right on time and got it done in a day. Would use them again for any plumbing issues. 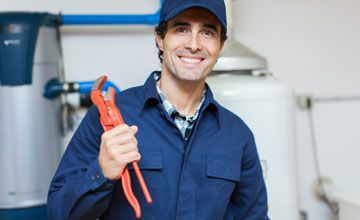 I had a great experience getting a plumber to come out one day after I had called to set up an appointment to help with setting up a new dishwasher and refrigerator that needed to be hooked up to our copper water supply lines. The crew did a fantastic job; they were on time, efficient, took initiative and were very knowledgeable about the water heater they installed. Top notch business all around. Thank you for an great experience. Contacted Plymouth Plumbing and Heating on a Sunday as we discovered our water heater had leaked all over our basement. Left a message on the emergency line and received a call back a few minutes later. They were out at our house about 2 hours later and installed a new water heater in and hour. Excellent service considering we were not previous customers and it was a weekend. Thank you so much! Just got a new shower from Plymouth Plumbing and Heating! We LOVE it! They did an awesome job and were so accommodating! We highly recommend them for your plumbing needs! Very friendly and professional! There is no job too small or too large when you have been helping customers for 77 years. We carry great brands that last. 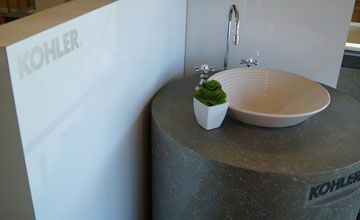 Visit our showroom for the full experience. Who doesn't want a plumber as a friend? We are your friends and we offer our expert knowledge. Ask away. We work with the best available brands! 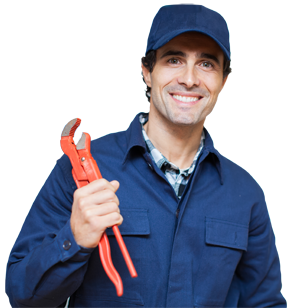 Plymouth Plumbing & Heating is the trusted source for all of your plumbing and heating needs. 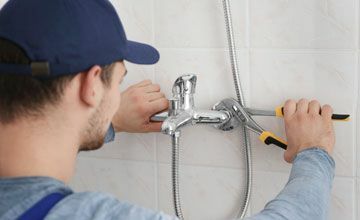 Our plumbers are on call 24/7.